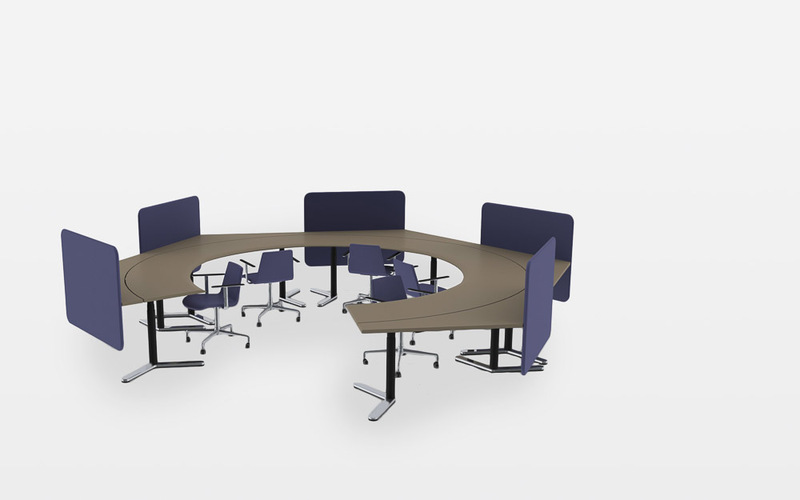 Boomerang is a series of tables and desks that allows you to customise desks to all needs from the smallest coffee tables and desks to large conference and meeting tables, to workstation configurations. 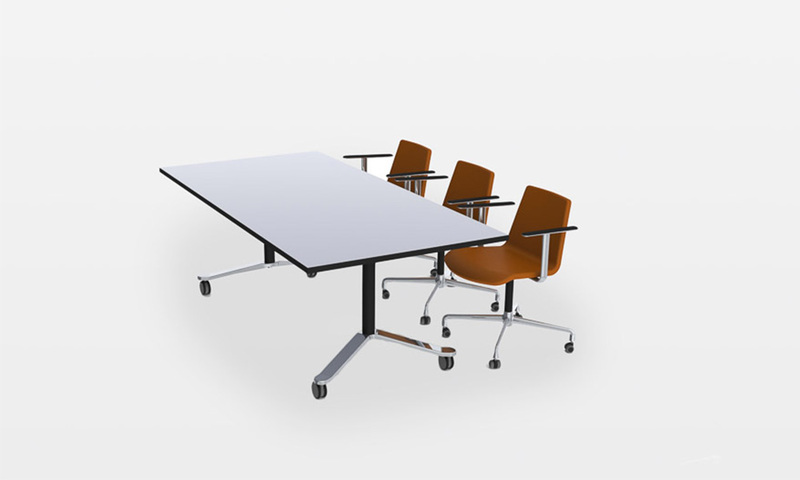 The five injection moulded and polished aluminium Boomerangs are used both as feet and support for the tabletops, building stability and making space for the wire management under the tabletops. 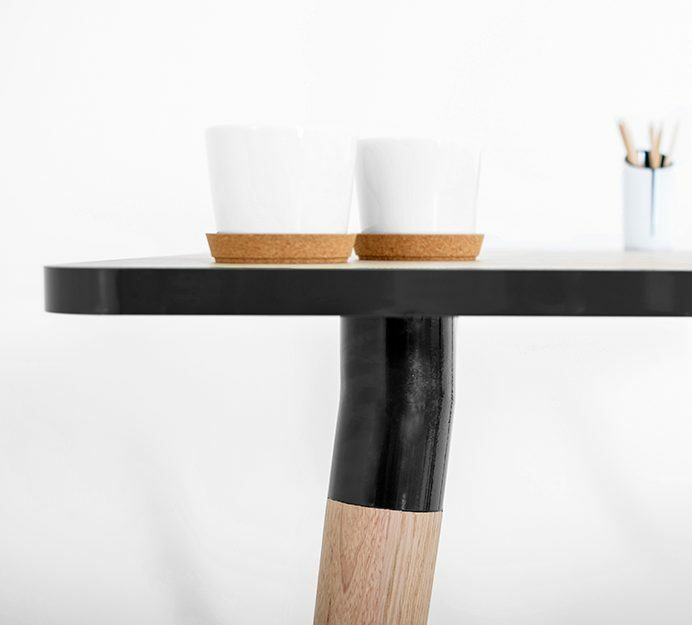 Boomerang is a table series that allows you to customise tables to all needs from the smallest table to the biggest table configurations. The Flip version adds a touch of versatility with caster wheels and foldable tops to maximise your office real estate. 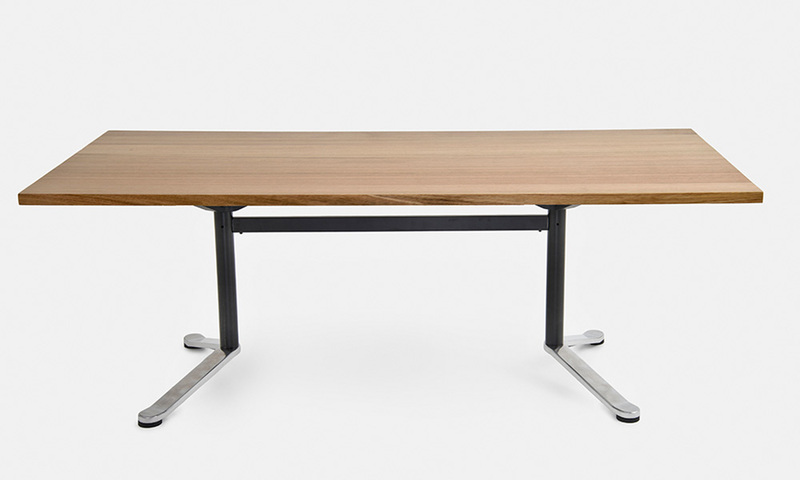 Coffee and side tables, desks, folding tables, workstation configurations and meeting tables. 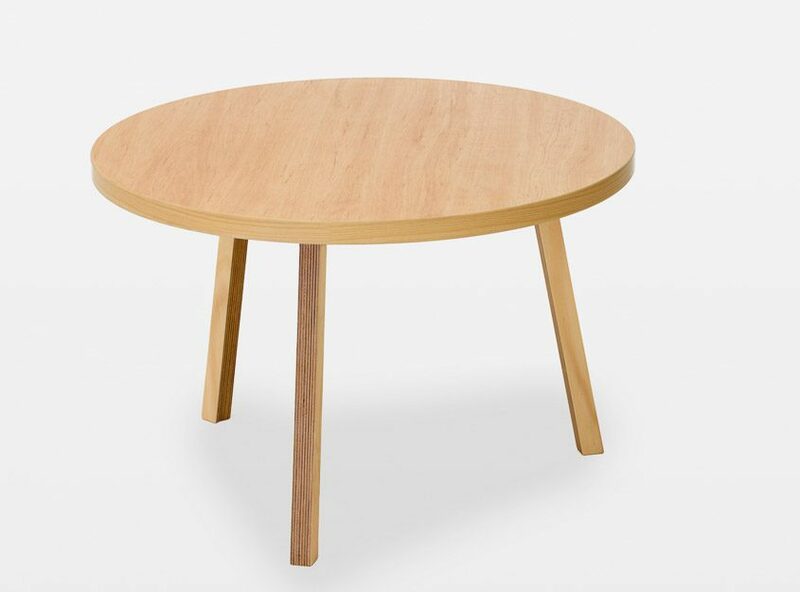 All of the above can be manufactured with a range of table top materials and many variations in geometry which effect the cost. See brochure for details. 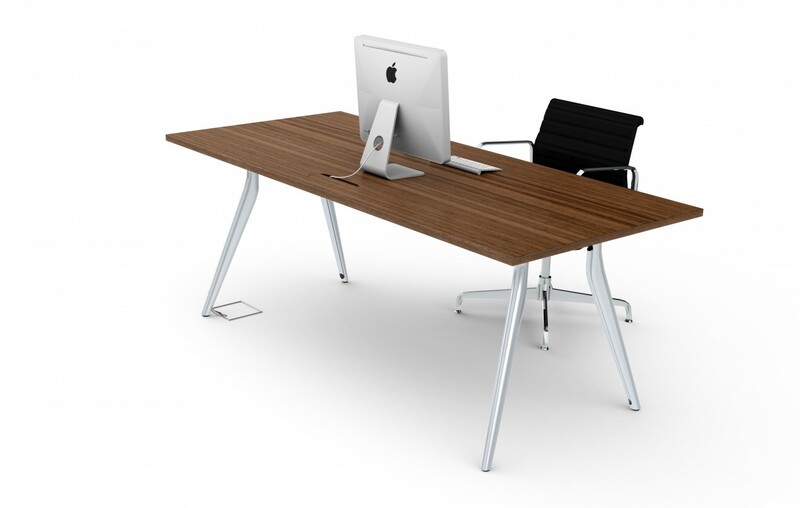 Boomerang desks come with Linkak desk lift DL 14, moving the tabletop from 68cm to 133cm or with a 7cm diameter column with a fixed height of 72cm. 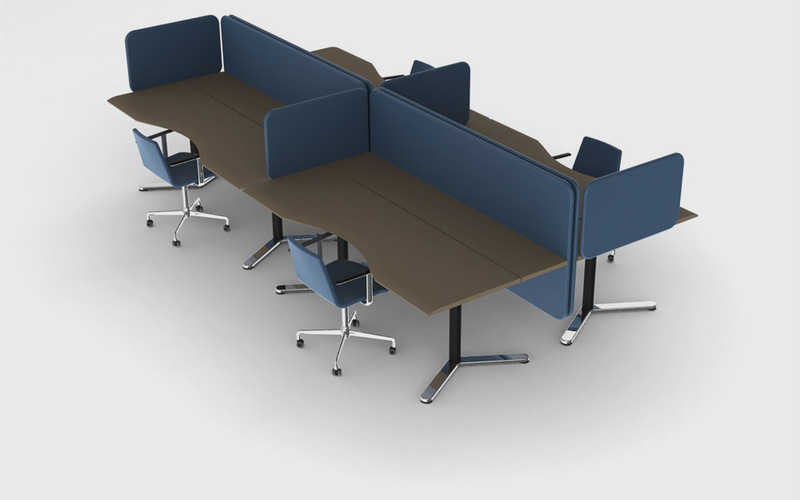 The Boomerang desk systems are designed in two parts allowing all wire management to be easily organised under the desk. 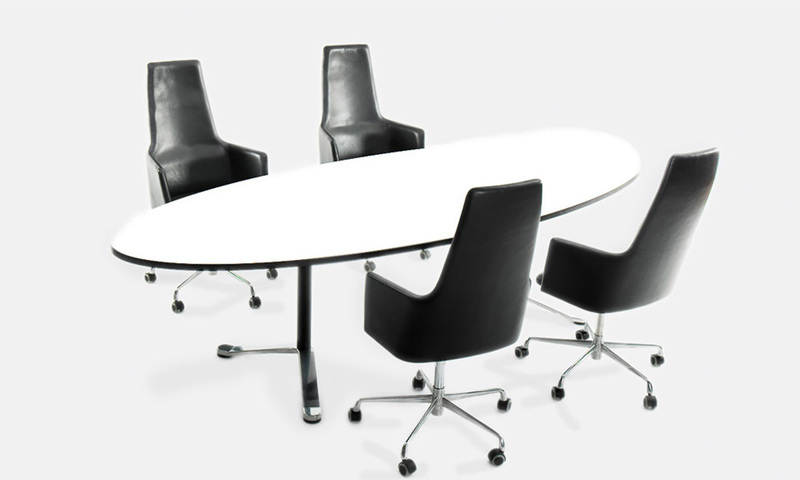 The five injection moulded and polished aluminium Boomerangs are used both as feet and support for the tabletops. The painted metal legs come in three different heights to make coffee tables, conference/working tables and bar tables. ISO 14001 and GECA certified.